Richemont has just announced breaking news. From July 1 Jerome Lambert, currently CEO of Jaeger-LeCoultre, will succeed Lutz Bethge as CEO of Montblanc. Mr Lambert remain on the Richemont Group Management Committee, as well as taking up the CEO position at Montblanc. The Group Management Committee, which comprises all the executive directors of Richemont, certain brand CEOs as well as some group functional heads, essentially all the bigwigs of the group. 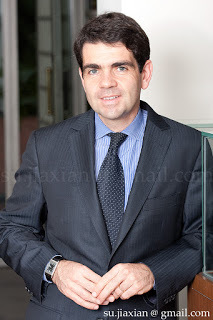 Daniel Riedo, Industrial Director of JLC, will assume the CEO position at the manufacture upon Mr Lambert’s departure. Prior to joining JLC, Mr Riedo was with Rolex and Tudor. As for Mr Bethge, he will become non-executive Chairman and Head of Supervisory Board of Montblanc. According to the press release, he will “represent the Maison externally and will be an advisor to the Maison on strategic matters.” At the same time, Mr Bethge will also step down from the Group Management Committee. This changes come as Montblanc has been underperforming relative to the rest of the brands in Richemont. Montblanc has been diversifying away from pens, a market in which growth is anaemic at best, into watches, where margins and growth are more appealing. Mr Lambert has done a superb job with growing JLC and repositioning it as a haute horlogerie manufacture under its own name. But Montblanc is a far more diversified and larger company than JLC – for the six months to end September 2012 its revenue was EUR368 million, or more than double JLC. Interesting times lie ahead.